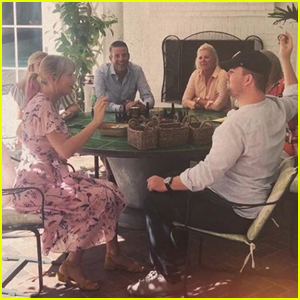 Tom Brady‘s family hit the field after his big win at the 2019 Super Bowl to help him celebrate! 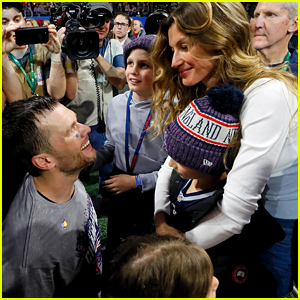 The 41-year-old New England Patriots quarterback was joined by his wife Gisele Bundchen and his three kids – Jack, 11, Benjamin, 9, and Vivian, 6 – following the game on Sunday night (February 3) in Atlanta, Ga.
Tom held Vivian in his arms while giving a post-game interview and accepting the Vince Lombardi trophy with his teammates. There are some super cute pics of Vivian looking at her reflection in the trophy! 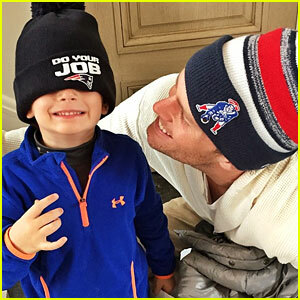 Tom Brady's Kids Are So Cute - See His Family's Best Photos! 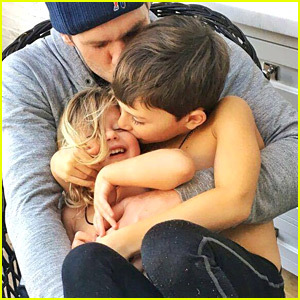 Tom Brady's Kids Are Adorable - See Cute Family Photos! 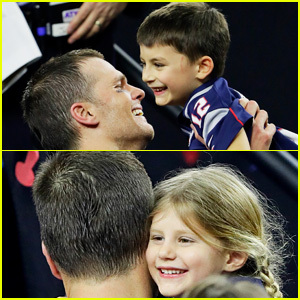 Tom Brady's Kids Had the Best Time at Last Year's Super Bowl! 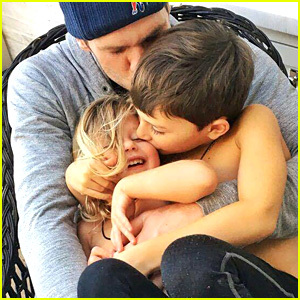 Tom Brady Shares Adorable Photo of His Three Kids! 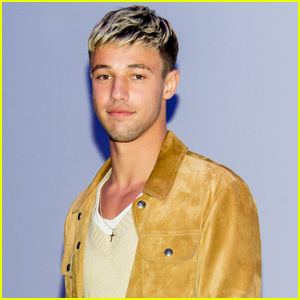 Tom Brady's Kids Are So Cute - See the Best Family Photos! Tom Brady's Wife & Kids Gave Him Very Different Advice for Super Bowl 2017! Tom Brady's Son Jack Drafted This Key Atlanta Falcons Player for Fantasy Football! 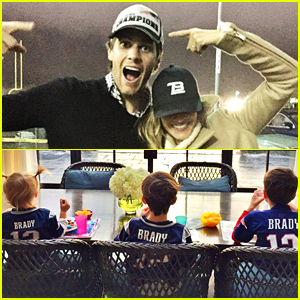 Tom Brady, Wife Gisele Bundchen, & Kids - See Family Photos! 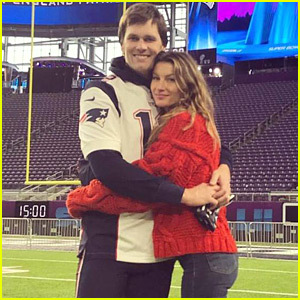 Gisele Bundchen Joins Tom Brady on Field After Super Bowl Win! Do Tom Brady's Kids Like Football? He Reveals the Answer! Gisele Bundchen & Tom Brady: Separate Coasts with the Kids! Gisele Bundchen & Tom Brady: Christmas Eve at Boston Symphony!